Drystack berthing at The Drystack, Trafalgar Wharf is suitable for motor boats, power boats and RIB's, 4m to 13m in length. Now with full deep-water tidal access. Whether you want to park up your boat for a year, a month, a week or even a day, we’ll be happy to hear from you. What you pay depends on how long your boat is, how long you want to stay and whether you pre-pay the full amount. Tells us what you want from your drystack stay in Portsmouth and we’ll send you an instant quote that’s good for 28 days. 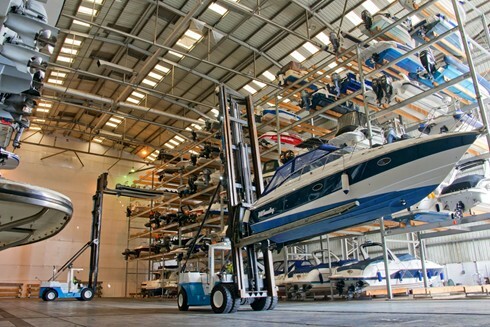 To make a reservation for storing your boat or to get more information please call 023 9270 6384.